Dixie State athletic department spokesman Steve Johnson said Reinhardt, a native of Wailuku, Hawaii, left practice on March 19 after suffering a minor leg injury. He was treated with ice and stayed on the sidelines. Reinhardt went to Dixie Regional Medical Center that night. His family said he suffered muscle pain and spasms, which turned into seizures causing brain swelling. 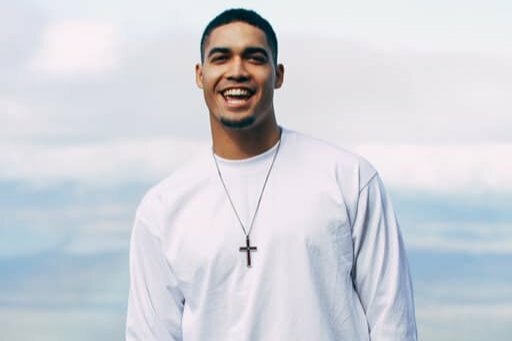 Two days before his passing, the Calvary Chapel Central Maui posted on Facebook asking for prayers from the Maui community and stated that Reinhardt was in serious condition in the intensive care unit at DRMC. A candlelight vigil was held Monday night on the Dixie State campus. The redshirt senior had earned first team all-Rocky Mountain Athletic honors this past season. Current and former Dixie State football players flocked to social media to express their sorrow and support for Reinhardt’s family, using the hashtag #AB3. A GoFundMe account was set up for his medical bills. St. George News contributed to this report.